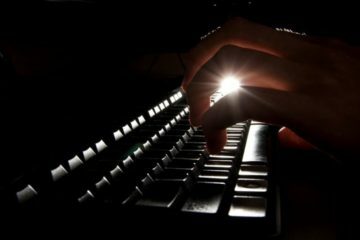 Do you enjoy reading great conspiracy books? If yes, then you’re in for a treat. 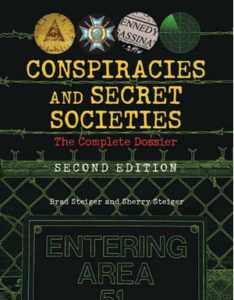 Listed below in ascending numerical order you’ll discover the very best conspiracy books revealing fresh, remarkable insights into the biggest and most intriguing conspiracies of all time, all with reviews which will give you an overview of what each title has to offer you. These books typically weave a web of secrets, mystery and intrigue, which can be as fascinating as it is maddening. If you have a penchant for conspiracies and convoluted theories, our guide to the top twelve best conspiracy books should provide a great read. Enjoy browsing through the list and see if any of them appeal to you. 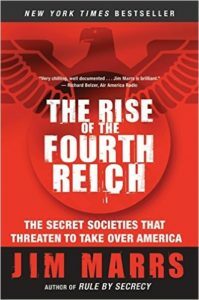 The Rise of the Fourth Reich: The Secret Societies That Threaten to Take Over America was written by James Marrs in early 2008 and has received positive reviews by its audience. James Marrs also authored the well-received book Rule by Secrecy. The book is far-reaching in its claims and its implications. The Fourth Reich is set to take place in the United States of America. All the textbooks and currently recognized version of history have been completely manipulated and the government clearly cannot be trusted. The truth cannot be established by conventional means, in that the elites control everything, including the media, the financial system, the medical industry, the education system and the political system. The book excellently highlights the links between Corporate power and the fascist system which is in place today. 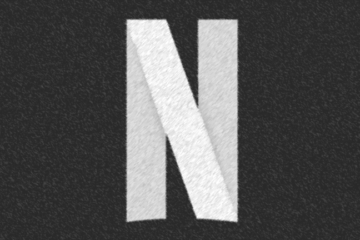 As held by many other historians and theorists, the Nazi’s which escaped World War II went to American and other countries and took over many industries by setting up companies as fronts. These companies have grown over time to become conglomerates and the fascist ideals which they were set up on are thriving in the Corporate environment. The premise of the Nazis is that the ends justify the means and the powerful have the right to rule over the few. Power is their one and only goal and they are willing to do anything to get it. It is the ultimate point of life. Marrs has actually provided good evidence backing up his claims. The book does not just stop at the escape of Nazis and their rise to corporate power. It also touches on standard conspiracy theories, including body doubles, revisionist history, Nazi wonder weapons and the manipulation of the space race. He also mentions the possible escape of Hitler from the bunker in Berlin. The Soviets found the body and it is widely claimed that Hitler’s body was identified from dental records. However, this is more dispute than conventionally thought. Hitler had several doubles and around the time of the discovery, newspapers all over the world were asking whether the real Hitler was really found. The only thread of evidence is the dental records, and one single picture of his supposed corpse. 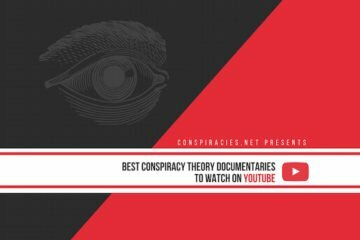 It makes number one on the list of best conspiracy books of all time simply because the claims are so broad and controversial, yet the book is so well put together and logical that the content might just actually be right. It provides an alternative view of history that is much more entertaining than the official version and may even be true. 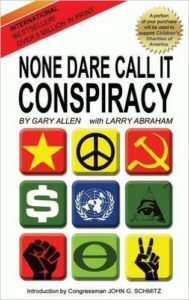 None Dare Call It Conspiracy: The inside story of the Rockefellers was written by Gary Allen and Larry Abraham in 1972. Like all the best conspiracy books the claims are far reaching, but the book itself is backed by reason, evidence and commons sense. It is also put together effectively. The hallmark of this book is that it’s absolutely chilling. It begins with the Bolshevik revolution in the early 1900’s and goes on to outline how the elites cruelly gained power over the decades that followed. It is now over 4 decades old and a number of predictions that it has made have come or are coming true. It mentions the role of the Council of Foreign Relations and the manipulations of the banking elites. It is accredited to alerting more people to the New World Order Conspiracy (NWO) than any other published book. It outlines how the international banking cabal financed communism and every other major global event. The book describes how the Elites wish to instigate a one world government with no borders. Insights are given into the role of the main institutions helping the globalist agenda of a new world order. 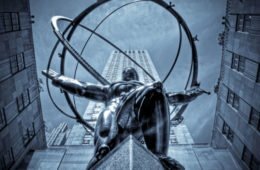 The Federal Reserve, the Trilateral Commission, the Bilderbergers the Rockefellers, the Rothschild’s and the Council on Foreign Relations are all connected and play key roles in helping forward the agenda. 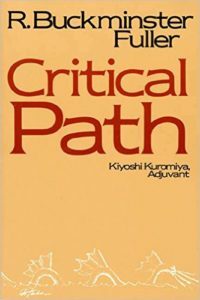 It is relevant today as many connect the dots between the claims in the book and current political events. Brexit is seen as a defeat for globalism, as was the Anti-counterfeiting trade agreement (ACTA) and the Trans-Atlantic Trade and Investment Partnership (TTIP). This is because all these contracts reduce the power of sovereign nations and put all the power in the hands of centralized authorities which collude together to gain more and more power. One of the best aspects of this book is that it is timeless. It can be used as a lens to decide whether or not Trump’s actions are furthering the globalist agenda or hindering them. 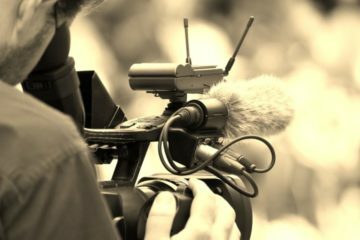 It’s put together so well that handing a copy to a non-conspiracy believer can change their opinions on vital current events, as well as historical. The information is still relevant, once the terms socialism and communism are replaced with corporatism. And it is brief, easy to read and to the point, making it one of the best conspiracy books available and a must read book in general to provide an alternative view. In terms of breadth of content, this book is one of the best conspiracy books out there. It shows Fuller’s grasp on history, economics, psychology, politics and technology. It also outlines what we must do to get free, as opposed to merely describing what has or is going to take place. A must read and easily makes the list as one of the best conspiracy books. 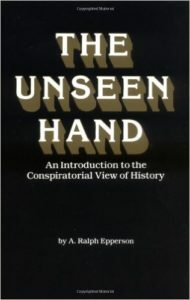 The Unseen Hand: An Introduction to the Conspiratorial View of History was written by Ralph Epperson in 1982, the same year as Fullers Critical Path. What makes this book particularly brilliant is that everything is put in chronological order from established sources. In other words, much of the material is very easy for the human brain to digest. It also makes it quite hard to argue with a lot of what Epperson states in The Unseen Hand. At the outset of the Book Epperson promises to introduce the reader to the fundamentals of the conspiratorial view of history. As per Epperson’s view, the theme with all conspiracy theories is one of power. There is a group of power hungry elites who fight tooth and nail to get what they want at all costs, which often involves needless human suffering. When the rich gain enough money, money is simply not enough for them anymore. They need to get power over individuals. And it is posited that when enough power over individuals is gained that will not be sufficient, they will need to see suffering to gain satisfaction. Thus it will get worst if the unseen hand is left to progress unchecked by the people, and we are by no means in the final stages of the unseen hand. The book touches on totalitarianism, the Illuminati, Marxism, the bankers, the Freemasons, the Trilateral Commission, the Bilderbergers and the Council of Foreign Relations. What Epperson does so well is that he outlines the main events in chronological order and links together the various strands of globalism in an intelligent, logical and coherent way. This makes it easy to understand what he is saying and to follow the events throughout history, and makes it simpler to read the lengthy 488-page book. The central theme of the book, like many of the best conspiracy books, is that of international banking. All the above-mentioned groups are heavily linked with oil interests and intend to create a new world order, a word mentioned in every conspiracy topic in the modern era. Epperson gives solid reasons as to why government and banking can be serious problems to any democratic society if not actively managed. He also gives an interesting alternative view on inflation and oil fluctuations. While it is definitely an interesting and entertaining book for many reasons, some claims are a little far out and damage the credibility of the book as a whole. The idea that Karl Marx is a Satanist is not well substantiated and did not really need to appear in the book at all. Likewise, the claim that Jesse James lived to 107 years old is no supported by evidence and was not necessary to an otherwise well-structured work. Also, significant amounts of the information are derived from the John Birch Society and may be a little one-sided. However, despite some minor criticisms, this book is one of the best conspiracy books available and is definitely worth reading. Bernays was the first to use the phrase “engineering of consent”, where events were framed in such a way that the human would follow a certain path of thought which would lead him or her to agree to a certain proposition in the end – war, debt, reduction of liberties, etc. This ties in with many theorists beliefs about 9/11 and other events being a false flag operation. In the aftermath of the disaster, many were in agreement with the reduction of powers including the Patriot Act, framed in such a way to be of benefit to citizens when the content of the act actually resulted in complete dis-empowerment of the citizen and total control to the government. Bernays was far from a benevolent figure. He was a firm believer in propaganda in its purest form to manipulate the masses in every way possible. In other words, this book is a direct account of the psychology of mass manipulation from a master propagandist. During World War I Bernays was a core part of the U.S Committee of Public Information, a propaganda machine designed to sell the idea to the American public that winning the war was necessary to ensure the world was safe for democracy. 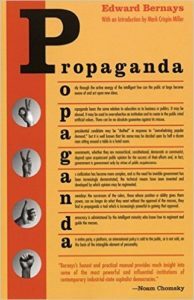 This book outlines the ideas of Bernays, ideas and tactics which are used by Governments across the world to ensure compliance with its aims. Bernays, a nephew of Sigmund Freud, also helped publicize the American Tobacco Company. Nothing really conspiratorial or controversial is outlined in the document, just a standard how-to guide for corporations and governments to manufacture consent (a common term in corporate propaganda circles). A must read for all interested in seeing how the government manipulate the public via the media to get them to do what they want. It is actually more relevant now than when it was written almost a century ago, ensuring its place as one of the best conspiracy books of all time. A list of the best conspiracy books of all time would not be complete without an appearance of a climate change conspiracy book. Climate change is one of the most contentious issues of the 21st Century, and it is generally accepted that over 97% of scientists agree that climate change is real and occurs mainly from the burning of fossil fuels. The book challenges the consensus highlights how good science has been high-jacked, and that the International Panel of Climate Change(IPCC) has been wrong in a number of its reports and has consistently overestimated global warming which is contributing to the great climate change scare. It also alleges that the generally agreed consensus of the 97% agreement on climate change is no more than a myth. However, this number is generated from Seven independent studies, all which agree 90-97% consensus. An interesting point made by the book is that all previous models which have attempted to predict the levels of Carbon Dioxide in the atmosphere have been wrong in the past, and they are heavily relied on at present as evidence for climate change. While the statistics are argued in the first part, the second part is more interesting and probably more relevant. There is a hysteria about Climate change which just cannot be justified. Costs have been exaggerated and the pro climate change group have been overly aggressive in their attempts to promote climate change and demonize climate change deniers. 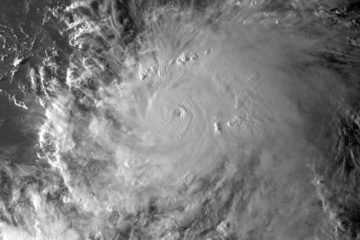 The link between politics and the science of climate change is strong and does much to cloud any hopes of gaining a clear understanding of the issue. 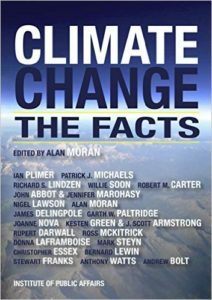 Climate Change: The Facts provides an alternative view of climate change using logic and scientific facts and references. One of the most startling points made in the book is that climate change has been promoted as an absolute fact by the government for decades when the truth about the issue is not at all clear-cut, and the climate change marketing is not at all justified. But when it becomes a political issue as opposed to a humanitarian one the truth may often get sidelined. Its downfall is that it is a little heavy for the average reader with no scientific or data analysis background. • An increase of surveillance on common citizens. Everything predicted in the Protocols has come to pass. The document was published around 1902, before the Bolshevik revolution which led to the death of Czar Nicholas II, the last of the royal family in Russia. The book had a huge influence on Hitler and led him to believe, among others, that there was a plot among Jewish bankers to take over the world through debt. Eventually, it led to the Holocaust and global antisemitism. Henry Ford even distributed millions of copies and editorials were ran in various countries about the Jewish “plot”. 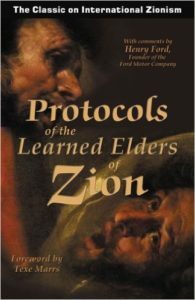 Many still believe in the Protocols today, citing current events as evidence, and the protocols are even taught in some Hebrew schools, as well as being recently published in Japan. It is the oldest, most widespread and destructive conspiracy to date. Thus it is truly one of the best conspiracy books of all time and will be around when many other theories and books have come and gone. The best selling book at the top of our list is one written by a former elected governor, rather than a conspiracy theorist. 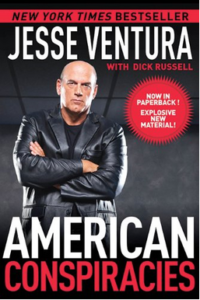 Jesse Ventura, a former Navy SEAL, pro wrestler and Minnesota governor, systematically delves into how the American government, politicians and mainstream press hide the truth about major events from the American people. Although Gov. Ventura doesn’t believe the government or any other organization is part of a cabal of evildoers involved in various conspiracies, he demonstrates how the hypocritical forked-tongued government, establishment politicians and pundits have hidden the facts from the public about major historical events, including the murder of Abraham Lincoln, assassinations of Martin Luther King Jr. and the Kennedys, Watergate scandal, election of Gorge W. Bush, and the Global Financial Crisis. This book is the encyclopedia of conspiracies. It provides an explosive account of assassinations, missing witnesses, suppressed evidence and startling allegations. Essentially, the book offers thorough background information regarding over 240 individuals, organizations and historical events with unreliable official explanations, thus remaining shrouded in mystery. 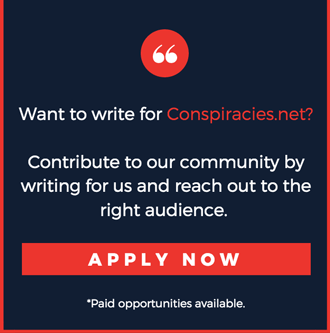 The writer looks into how the American history is full of warnings of hidden conspiracies perpetrated by various secret – and not so secret – organizations, including: Extra-Terrestrial Invaders, Secret Government, World Bankers, the Communists, the Roman Catholics, the Zionists, the Freemasons, the Illuminati, just to name a few. Each entry regarding these organizations presents revealing information as well as competing explanations for well-known controversies, historical riddles, conspiracies, and scientific mysteries. 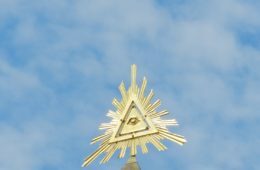 If you’re looking for a comprehensive information resource on the biggest conspiracies and secret societies – both past and present, then look no further than this book. This text is essentially a countdown of the world’s most intriguing conspiracy theories. 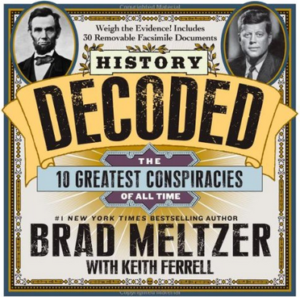 Written by Brad Meltzer, a born storyteller and creator of the hit show, History Decoded – which he created for the History Channel, this richly-illustrated book takes the reader on an immersive journey through a treasure trove of information and evidence relating to “some of the greatest conspiracies”. 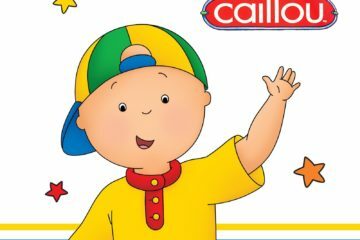 Much of this information is the one he has gathered for each episode of his TV series. It’s presented in a countdown format, with each chapter portraying a conspiracy which Meltzer and his able team try to prove or disapprove using the historical evidence at hand. 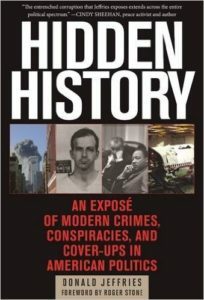 If you want to become a history or conspiracy buff, then this book can be a great starting point. This compelling work provides gripping details and provides captivating information about how the United States government has spent half the time on conspiracy cover-ups at it has spent assisting the American people. In this book, much of how the government has spent the past five decades covering up the facts to the public will be revealed to you. You’ll be surprised to find that the facts about every major historical event or war that we’ve witnessed have somehow been distorted by those in power. From the assassinations of MLK and RFK to the TWA Flight 800 and 9/11, you’ll find thorough information regarding these disasters, as well as all the details that have been hidden to you by the US government over the past half a century. 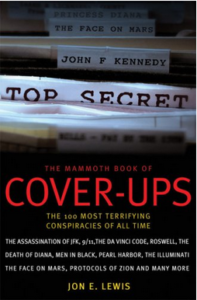 This is without a doubt one of the most comprehensive books on conspiracies and cover-ups ever written. It explores all major events, organizations and renowned figures, revealing startling information and facts you never knew before, including those that the establishment would never want you to know and is afraid you ought to know. Whether it’s the unknown facts about the death of Princess Diana or the issues and intrigues behind the Lockerbie bombing, the riveting details about the biggest conspiracies have never been presented so well in any other published work available. The book is entertainingly presented, thoroughly researched and closely documented, providing each potential cover-up with a plausibility rating. In other words, everything you’ve wanted to know about major cover-ups is all here. 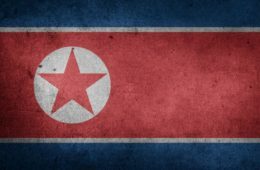 There is a wide variety of alternative history conspiracy books to choose from; however, these seven are a little more robust in terms of reliability and evidence. It is arguably worthwhile reading an alternative view of history and then making up your own mind, instead of just accepting the official version as fact. There is much evidence that, at least in some cases, official versions of events are not as they seem. And authors such as Bernays, Fuller and Epperson give a good reason as to why this is the case.